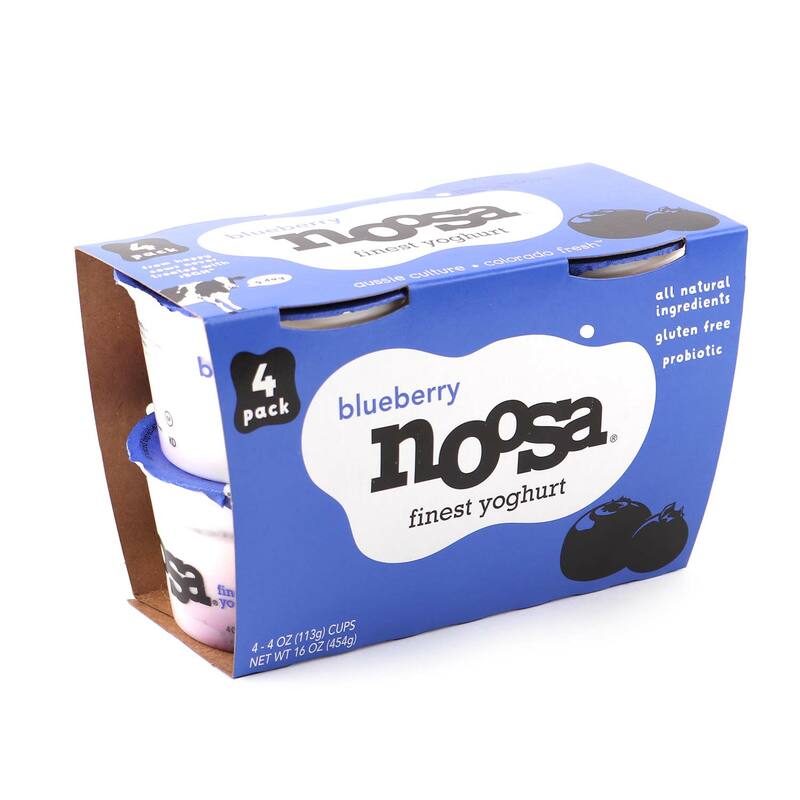 Noosa is an indulgent yoghurt unlike anything you've ever tasted. Farm-Fresh whole milk, sweet honey, and real fruit purees come together to create a velvety snack that you'll adore. 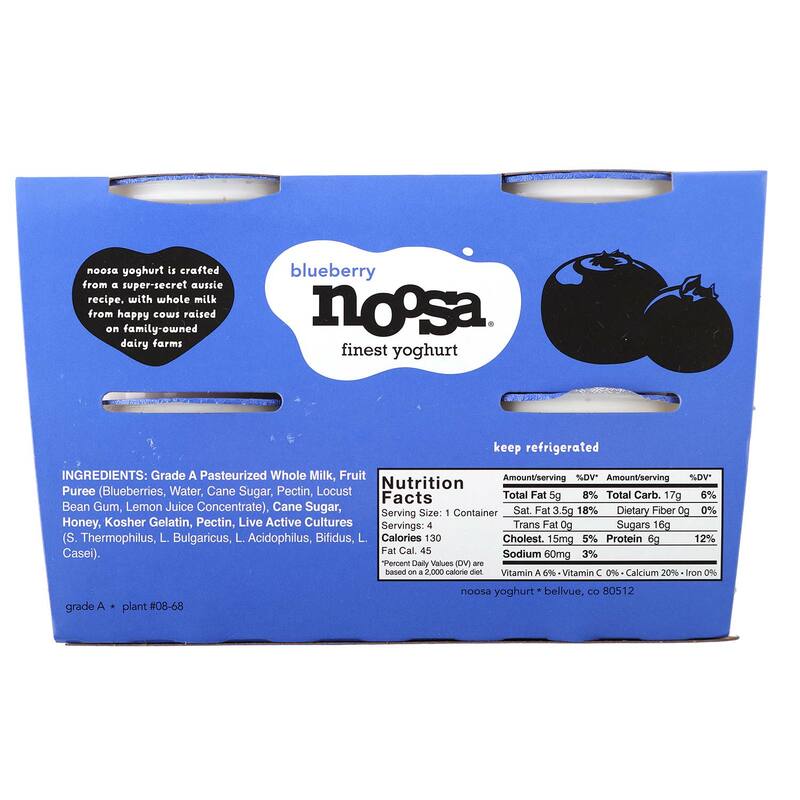 Grade A Pasteurized Milk, Fruit Purée (Blueberries, Sugar, Pectin, Locust Bean Gum), Grade A Cream, Grade A Skim Milk, Cane Sugar, Honey, Grade A Milk Protein, Kosher Gelatin, Pectin, Live Active Cultures: S. Thermophilus, L. Bulgaricus, L. Acidophilus, Bifidus, and L. Casei.